Left to Right David Fairweather Leader of Angus Council, Libby McLain (Food is Free) Jean Brown (Cycling without age) Philip Russell R&A, David Cheape Convener of the R&A Legacy Panel, Steven Burke (Freinds of Barry Mill) Kirsty McDonald (Colourful Carnoustie) and Mark Armstrong Deputy Chief Executive Angus Council. The fund supports projects and programmes that will have a positive and lasting impact on the host venue. 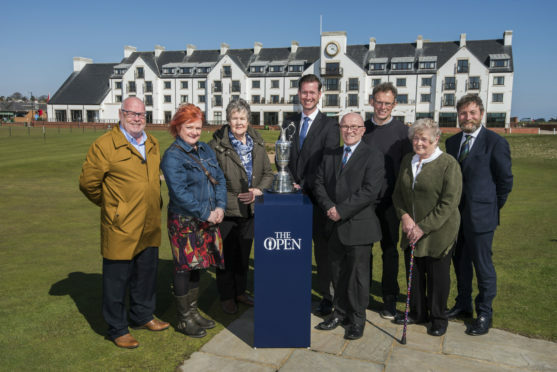 Local organisations were encouraged to bid for a share of the cash, and a local panel, chaired by Carnoustie councillor David Cheape, and including representations from community groups and Carnoustie High School recommended the projects to The Royal and Ancient Golf Club of St Andrews (The R&A). Carnoustie accommodated a record 172,000 spectators for the venue at last year’s Open. Colourful Carnoustie’s funding will go towards the upgrade and refurbishment of the Carnoustie Rest Garden in Links Parade and to improve the attractiveness and welcome of the railways station and cycle path and grounds at Links House. The Fairy Steps Trail project aims to reinstate the path, the steps themselves and the bridge over Craigmill Burn. Cycling Without Age will be led locally by Carnoustie Befrienders and Carnoustie Memories as part of a national programme supported by Scottish Government to help transform the lives of older people, re-engaging them with the outdoors through trips in trishaws piloted by local volunteers. Friends of Barry Mill will use their funds to improve the biodiversity of the Barry Burn and surrounding area. First practice day at The Open Championship at Carnoustie. Johnnie Cole-Hamilton, executive director for championships at The R&A said: “We have worked closely with our partners in Angus to identify community initiatives which will positively enhance the town of Carnoustie and provide benefits for its residents to enjoy in the years to come. 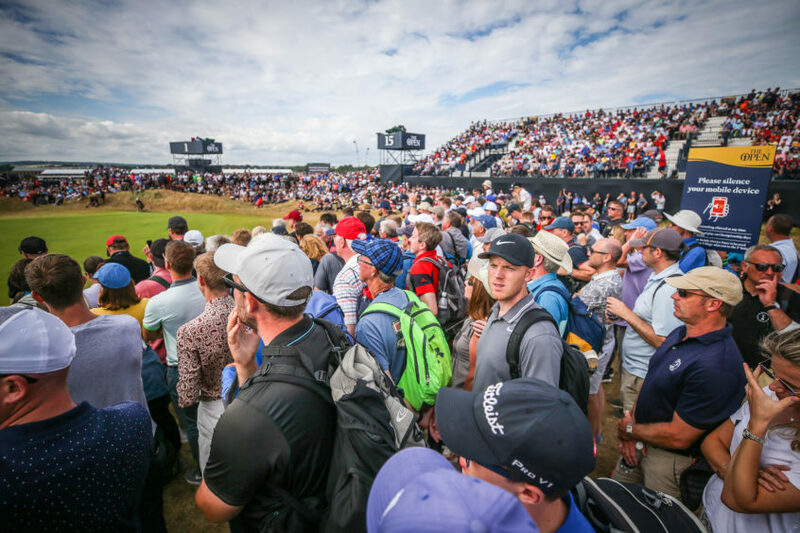 A record 172,000 spectators visited Carnoustie to attend The Open last year, generating significant economic benefits for the region and attracting world-wide coverage. 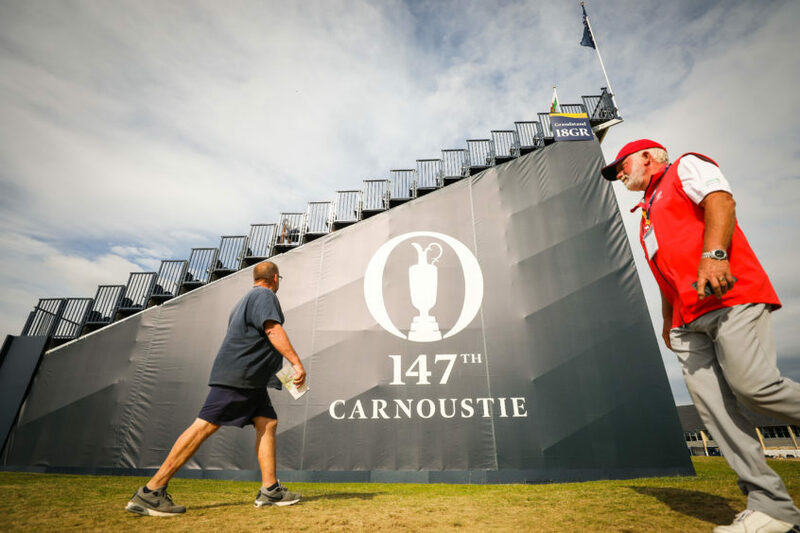 Angus Council leader David Fairweather said: “The standard of the projects that entrants put forward for funding was extremely high and I’m sure that all of them would have been of benefit to Carnoustie.